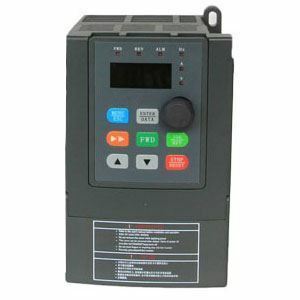 Inexpensive 2hp VFD, single phase 220V 50Hz/60Hz input, three phase output AC motor variable speed drive, 7.5 amps, manufacturer direct sale. 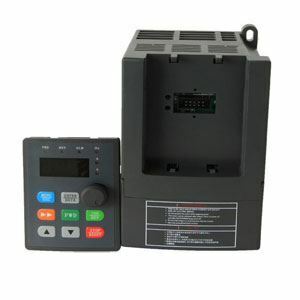 2 hp VFD, 220V 1 phase to 3 phase variable frequency drive, sale by manufacturer directly. Experience: I have found that the use of the "economy" motor certainly sets the table for motor failure in a VFD application, however, the real problem is motor lead length! If you have a very long run to the motor the possibility of harmonic problems certainly exist. However, there is a simple solution to this potential problem; the addition of a reactor package installed between the motor and the VFD. Of all the applications that I was involved in over 30 years I had exactly one problem with motors failing and that occurred when the purchasing agent substituted one of the economy motors for the one that was used in the prototype machine as well as the early production machines at an OEM. In addition, I can remember only a small handful of times when the reactor package was recommended for the application.